I recognize that a viral video of one reporter’s particularly remarkable response to going down a slide in the basement of the Taipei Grand Hotel doesn’t exactly scream “a little corner of the internet where camp is queen,” but it does literally scream. I mean, what exactly do I do with this video? Throw a wig and a thick appliqué of makeup on it? I don’t think so. Alas, not everything can be Showgirls references and Joan Crawford drag queens, though I certainly wouldn’t be one to complain were that otherwise. Instead, I’d simply like to present this video as a small, perfect moment of interweb joy, one so pure that I really wouldn’t mind if it continued on in an infinite loop of this woman’s screams. Seriously. WAAHwooWEEeeAHWAHWAH’ing back and forth. Forever. Whatever the situation behind this is, it only reaffirms that Tina Fey is the best. Taking a moment to pose with the rest of us? (Aka, those not responsible for writing Mean Girls and 30 Rock.) Clearly, the best. Still, I’ve questions. Well, one question, which is: Is that Moonvest? Well, everything about this is the best. Obviously. For starters, this correction is positively adorable. 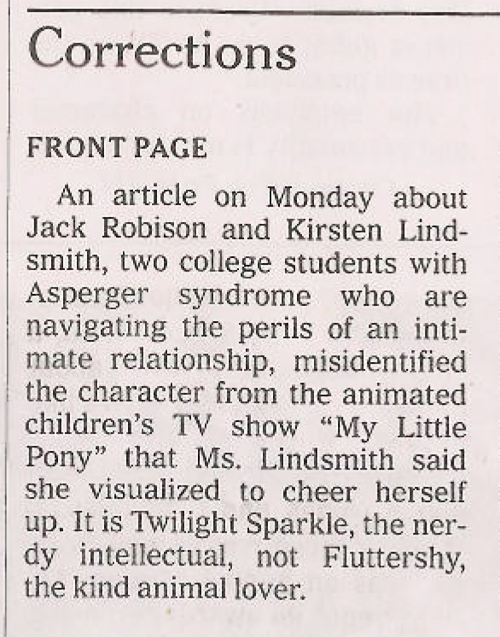 If it hasn’t already, somebody should option this, because I’d pay to see the unabashedly twee indie rom com inspired by this correction, even though the high concept pitch reads like a waking nightmare (“It’s A Beautiful Mind meets Garden State meets an 80s cartoon acid flashback!”). 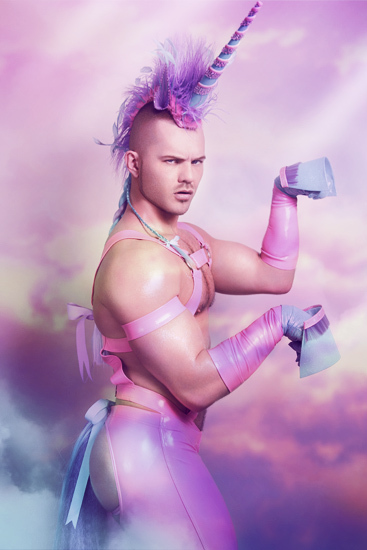 Michel Gondry can direct a script by Diablo Cody, and it’ll star Ellen Page, Joseph Gordon-Levitt, and this guy (link NSFW) as the pony. It would be insaaane.